This year sees the resurgence of the mobile phone among five to 16 year olds, according to the latest 2017 CHILDWISE Monitor Report. Smartphones are now the default device for music, online access, gaming, video content and reading (after printed books), as young people seek endless entertainment - anywhere and everywhere. The new data shows the extent to which the mobile phone now dominates children’s media experiences, with ownership increasing steadily – especially among primary aged children – and usage more varied than ever before. For the first time ever, children are now more likely to use their mobile phone to go online than for any other purpose, including texting or calling. The 2017 CHILDWISE Monitor is a comprehensive annual report looking at five to 16 year olds media consumption, purchasing and social habits as well as key behaviour. Around 2000 children in schools across the United Kingdom completed in-depth online surveys for the report. The report also reveals that tablet ownership has reached saturation point after years of rapid growth. Two thirds of children have their own touchscreen tablet at home. Simon Leggett, research director from CHILDWISE says: “Our research suggests that children now expect to be constantly entertained. They want to fill every free moment they have. Tablets were a gateway to apps and the internet for many children – they were the technology of choice and widely endorsed by parents. Children now expect the same level of functionality when they’re out and about, and the mobile phone delivers that” says Simon. “Children expect to access their favourite media at all times, whether it is games, music, video content or social media,” adds Simon Leggett. The report suggests that it is unlikely that tablet growth will increase much further, with two in three children now owning one. Most children say their use of technology helps them learn and develop new interests. However, a significant minority are concerned about their over reliance on them. Around one in four find it difficult to go several hours without checking them, say they have missed out on sleep because they have spent too long on gadgets and would like to spend more time away from them. Three in 10 children say they have to check their connected devices every few minutes. Most teenagers break rules set for them for internet use and a significant minority of nine to 12 year olds go online longer than they are allowed, or when they shouldn’t. Children claim to use the internet for an average of three hours a day. One in eight say they spend more than six hours online per day. Social networking sites are more popular than texting for children to keep in touch with one another outside school. YouTube is the most popular website among children this year, far ahead of second place favourite Snapchat, and is the most popular video on demand service, ahead of second place Netflix - almost all children use YouTube. Children are now just as likely to watch content on their mobile phone as on a TV set. A quarter of nine to 16s turn off or get around safety controls when they go online. 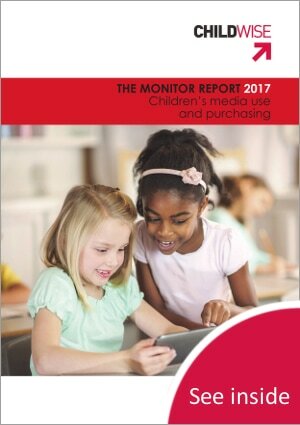 The Monitor Report 2017 covers... Tablets and technology; websites and applications; gaming, YouTube; mobile phones; TV viewing; video on demand; music; reading; children’s equipment; money; purchasing; sports & activities; health & wellbeing and social awareness. Major shift in UK children’s behaviour as time online overtakes time watching TV for first time ever, reveals new report. This year has seen a major shift in UK children’s media use with time spent online overtaking TV viewing for the first time ever, according to the latest 2016 CHILDWISE Monitor Report. Tablet ownership also soared this year – up by 50% from last year. Just six years after the UK release of the iPad, tablets have swept into children’s lives, with two in three (67%) now having their own device. The new data shows that YouTube has taken centre stage in children’s lives this year to become the place they turn to for entertainment, music, games, TV programmes, instruction and advice. Half use the site every day, almost all do so on occasion. The majority of children who use YouTube visit the site to access music videos (58%). Around half of users keep themselves entertained with funny content on YouTube (52%). Around a third watch gaming content, vlogs/blogs, TV programmes or ‘how to’ videos. Children are also going online more in their bedrooms. Three in four children (73%) can now access the internet in their room, up from two in three (63%) last year. The 2016 CHILDWISE Monitor is a comprehensive annual report looking at five to 16-year-olds media consumption, purchasing and social habits as well as key behaviour. More than 2000 children in schools across the United Kingdom completed in-depth online surveys for the report. “Growing access to the internet at any time and in any place, and a blurring of television content across channels and devices, brings a landmark change in behaviour this year. TV viewing has been redefined,” says Simon Leggett, Research Director from CHILDWISE. This year, for the first time, tablet devices have overtaken laptops/PCs/netbooks as the main type of computer that children have in their homes. Four in five children (79%) now live in a house with a tablet device in it. This is a significant rise from just three in five (61%) last year. Children age 5-16 now use the internet for an average of three hours a day and watch TV for 2.1 hours. It is worth noting that simply counting hours spent on devices can be problematic. Children multi task and often use more than one device at once and don’t always give each full attention. 63% of children own their own mobile phone with an average monthly spend of £12. Zoella, real name Zoe Sugg, is children’s favourite YouTuber, followed by TheDiamondMinecart, Thatcher Joe, KSI and Stampy. For the first time the CHILDWISE Monitor report asked children age 7 to 16 that used YouTube who their favourite YouTubers were or what were their favourite channels on the site. The YouTuber with the most mentions was fashion and beauty vlogger Zoella. She was a favourite among girls with 15% naming her as favourite and 8% naming her overall. TheDiamondMinecart, real name Daniel Middleton, posts daily videos about the popular game Minecraft. He was popular among boys, chosen by 6%, compared to 4% overall. Zoella’s boyfriend Alfie Deyes of PointlessBlog fame (named by 2% overall) and her brother Joe Sugg, known as Thatcher Joe (4%) are continuing favourites. However, the majority of children are passive consumers, rather than contributors to YouTube, rarely going beyond liking/disliking content or subscribing to channels. Only a minority ever post comments, share or upload videos. 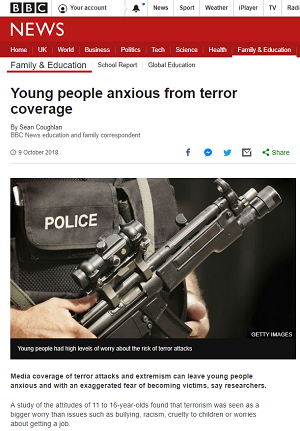 “Children of all ages, both boys and girls, find somebody to follow on YouTube who speaks directly to them and reflects their interests, coming across as authentic and unmediated,” Simon added. CHILDWISE is an independent market research agency specialising in children and young people. 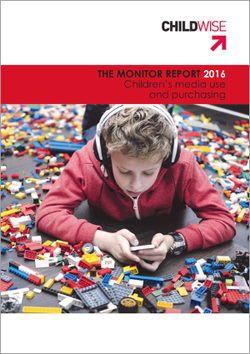 The Monitor Report 2015-6 covers computers and the internet; websites and applications; gaming, YouTube; mobile phones; TV viewing; music; reading; cinema; children’s equipment; money; purchasing; sports & activities; health & wellbeing and social awarenes.